Pyramid foam tiles supply extra diffusion due to their 4-sided geometric shape. 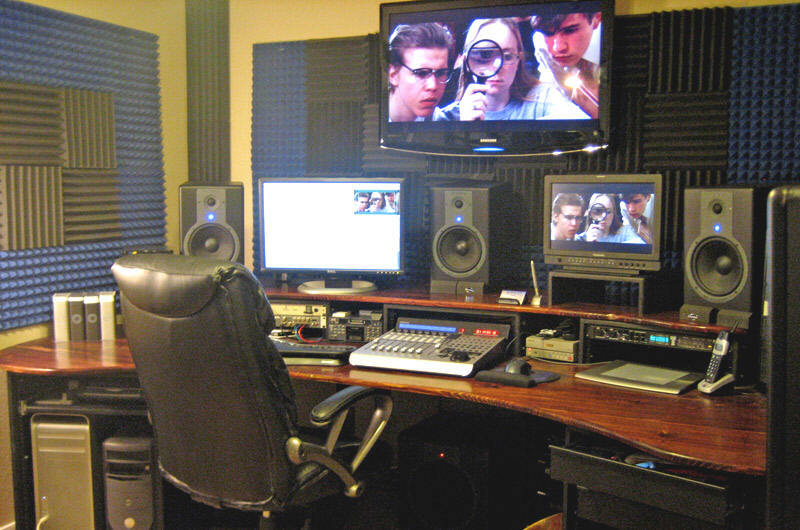 They help to eliminate unwanted noise in areas such as concert halls, auditoriums, broadcast facilities, or office and industrial rooms, and will give a nice look to your studio. If you want your place to look upscale and distinctive, you should give the Pyramid style a strong consideration; they look absolutely fabulous! 1″ Pyramid Foam: Recommended for areas that require decent sound control, such as walls and ceilings (especially ceilings not parallel to the floor), but not absolute deadness. Most effective on mid and high frequency ranges. Note: If you would like to add a 1/4″ Volara Barrier on the backside, this will cost an additional $1.50 per sq. 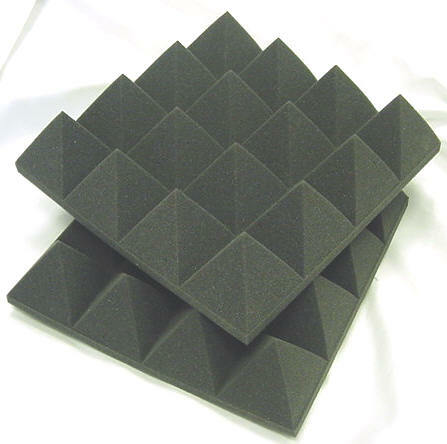 ft..
2″ Pyramid Foam: Recommended for most small to medium sized areas (such as vocal booths, control rooms, and studios). It is most effective against standing waves and fluttering echoes. Also, it is a good full frequency bandwidth absorber for practically any size room when used in conjunction with Corner Bass Absorbers and Male/Female Broadband Absorbers. 4″ Pyramid Foam: Recommended for medium to large areas like concert halls, churches, or gymnasiums. 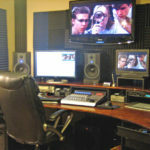 Excellent for absorbing low frequency sound waves, and best for rooms and areas where maximum absorption is necessary. Just call, (248)-284-0002 or e-mail us with the size and quantity you would like to order. Please include zip code for additional accurate shipping price.